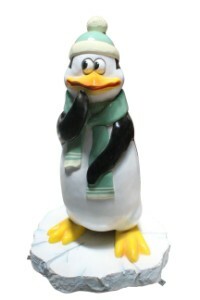 This adorable, playful penguin comes complete with a Sage Green hat and scarf. He is ready for this holiday season. Funny penguin stands approximately 4'.